Playing on any device no matter where you are is awesome! 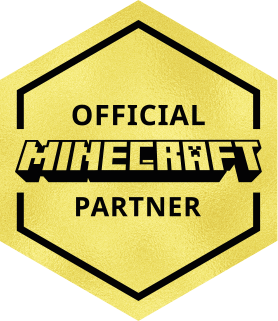 Now you can play on CubeCraft with thousands of other people too! Battle with friends against the world through our minigames. From protecting your eggs in EggWars to trying to complete as many tasks in MinerWare you're sure to have fun. We're constantly working to bring new features and content to our Bedrock Network meaning there will always be something new to play. Keeping the server fresh with lots of new content is important to us and you'll love the plans we have. We'll be bringing events to life for the whole community. You can expect our Easter Egg hunt, Halloween Horrors, Christmas Games and a whole load more! We have literally hundreds of maps for our games and even more ideas for new ones! Keeping games fresh and exciting a new map can bring a completely different way to play existing games. We look forward to hearing which maps are your favourite. Giving you the best connection. Having the lowest latency possible is really important to all our players, especially those on mobile networks. CubeCraft Games: Bedrock Edition is launching with EU based servers and we'll be rolling out more regions as we find out where all our players are from! We'll be launching this later this year, our main goals are working on new games and more features for you all! We're working to bring a lot of our existing games to our Bedrock server along with some new concepts! Looking to produce awesome content? Maps, skins and more all playable with your friends. We want to squish all the issues!